I am a shipbuilding engineer by profession, and I have been involved in the boating industry for almost all of my professional life. 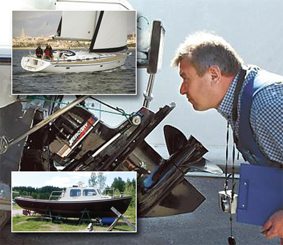 I am a member of the Finnish Yacht Surveyors assoc. 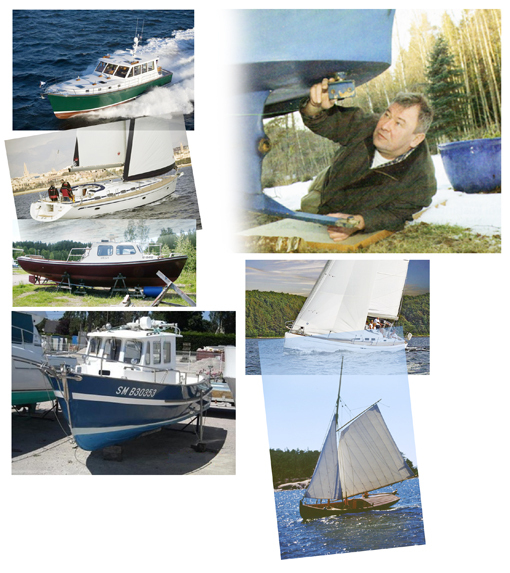 (www.suomenvenetarkastajat.fi) , Finnboat assoc. 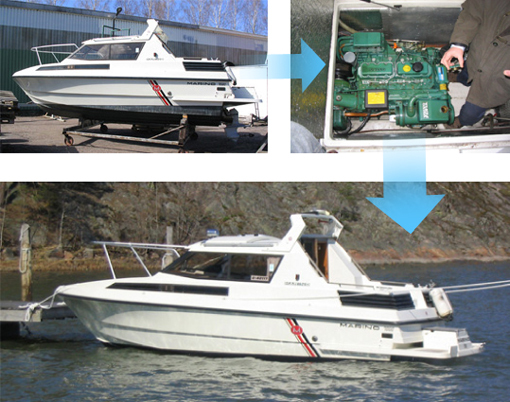 (www.finnboat.fi) and Finnish Sailing and Boating Federation (www.spv.fi). Yacht surveys and inspections I have been doing now for about 25 years, and among my customers has been private boat owners and buyers, marine companies, insurance- and finance companies, etc. Most inspections are requested by customers interested in buying or selling a second hand yacht, but also very often the request is for inspection of a defect, damage or weakness discovered in a yacht. Sometimes a customer wants a repair or installation inspected, and another time someone needs to know the value price of a certain yacht. Many times boat owners only want to know the moisture content in the hull, or an insurance company only the repair costs of a certain damage. The customer always gets a written Survey report, including photos, measurement results and possible other documentation. My office is situated in Sibbo, East of Helsinki, but I do surveys all around Finland, and also abroad according to agreements. The reports are written in English, Finnish or Swedish. 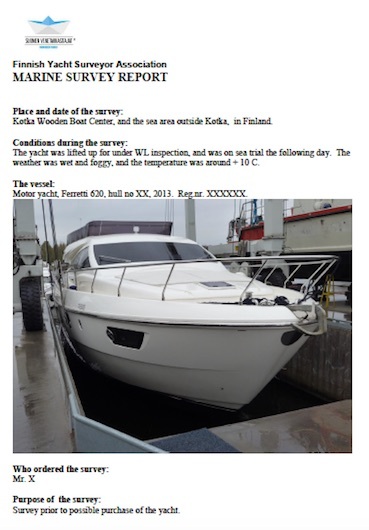 Next time when You need an objective statement about the technical condition, or value price, of a yacht, please contact me by e-mail, kenneth.lindberg@elisanet.fi, or kenlin.lindberg@gmail.com, or by phone +358-(0)40-7475959.